The government and RBI areprepared to deal with any eventuality arising out of the US Federal Reserve\'s action on interest rates later this week, said the Finance Ministry. \"The government and RBI, we are prepared for all eventualities, as and when the situation emerges. The government and RBI areprepared to deal with any eventuality arising out of the US Federal Reserve's action on interest rates later this week, said the Finance Ministry. "The government and RBI, we are prepared for all eventualities, as and when the situation emerges. I am confident we will be able to deal with it," Economic Affairs Secretary Shaktikanta Das said at an ICRIER event here. He was replying to a query on whether the government is prepared to deal with the challenges posed by a possible interest rate hike by the United States on September 17. "The US policy stance is something which has been expected for the past two years or so. And we are aware that this has to come at some time. It is not something which is suddenly confronting us," Das said. He said the US has been deferring the interest rate hike decision due to employment figures in that country, but "today there is emerging view that job numbers in the US look better". Das added that the US administration will do it in a "calibrated and cautious" manner so that it doesn't affect other economies adversely. A hike in interest rates by the US, it is feared, could result in flight of capital from emerging markets, including India. Das said the global economy is facing uncertainty and volatility due to slow growth in China as well as exchange rate fluctuations and the anticipated US tapering. "The US could perhaps begin to slow down its monetary expansion policy, which they have followed, and probably there could be a rate increase. We don't know, we have to wait and see. We have to wait for the announcement on September 17," Das said, adding that India's forex reserves are at comfortable levels. He said further that India today presents a very stable picture and remains a bright spot in the global economy. "It is also reflected in the fact that despite stock market prices going up and down, that is not at all a ground for any knee-jerk reaction or it should not lead to any knee-jerk policy response from the government," he added. The US Federal Reserve has kept benchmark federal funds rate at zero since the end of 2008 to help the economic recovery. Since early last year, the Federal Open Market Committee, the Fed's policy arm, had been expected to move on rates around mid?2015, but the decision is being delayed to push the economic growth further. The Reserve Bank had earlier said India is prepared to deal with foreign fund outflows as the country has significant forex reserves. 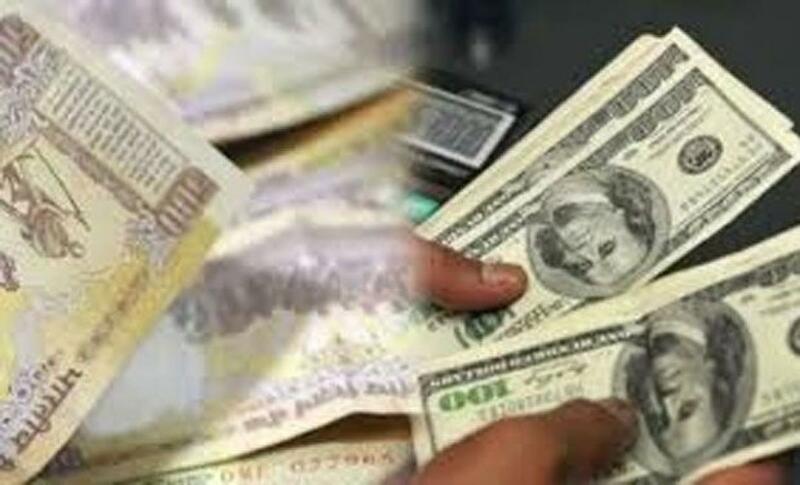 The foreign exchange reserves declined USD 2.89 billion to USD 349 billion in the week through September 4.